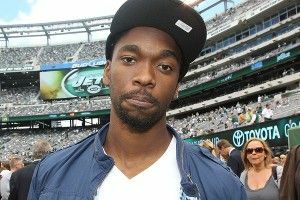 In what appears to be a bloodless coup, Jay Pharoah has taken the White House from Fred Armisen. The New York Times reports that, for this upcoming season of Saturday Night Live, Lorne Michaels has decided 24-year-old Pharoah will take over the role of impersonating President Obama. I just thought it might be time to shake it up.” Pharoah was hired for SNL two years ago, and known for doing Obama (along with a slew of other spot-on impressions) back then. We waited to see if Lorne would kick Armisen out of the Oval Office right away, but he decided to let it ride. Now, though, with SNL facing down a juicy election season — the last time the show was hugely relevant was in 2008, during the halcyon early Sarah Palin days – it looks like Michaels wants to shore up all holes. Feels like a smart move: Jay certainly does a killer Obama, and giving him the gig opens up the ever-versatile Armisen, who Michaels calls “the backbone of the show now,” to run around in skits as pretty much anyone Obama may interact with. There’s also the small matter of Fred Armisen being not so much “half-black/half-white” as he is “part Venezuelan, part German and part Japanese.” Anyway, congrats to Jay: Getting Obama during another election cycle will be a prime showcase, the kind of thing that can make a career. But no pressure! P.S. When is SNL going to do a skit on Philadelphia rapper Cassidy already? His 2007 single “My Drink n My 2 Step” was my jam!